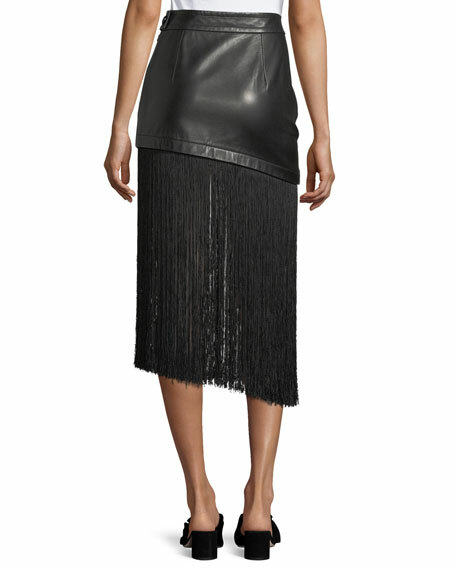 Helmut Lang asymmetric skirt in lamb leather. 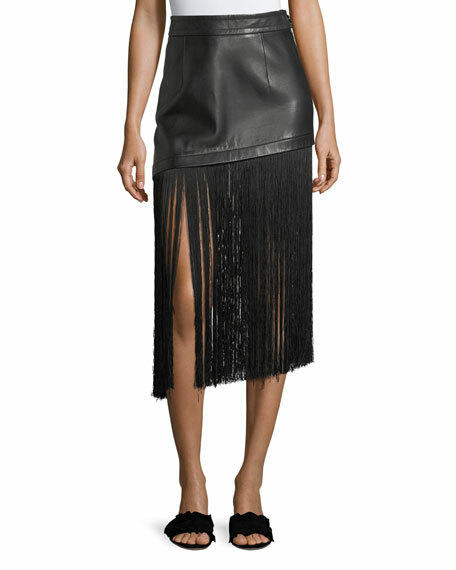 Fringe hem falls below the knee. 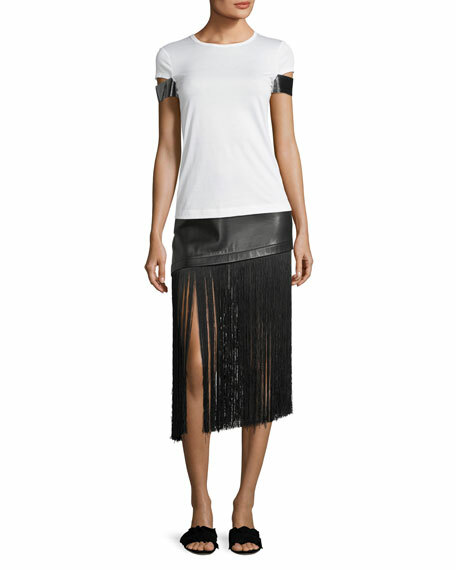 For in-store inquiries, use sku #2370323.